So we go from the sublime WrestleMania X-Seven, to an emotional snapshot in time. Recorded at the Compaq Centre in Houston, Texas 48 hours after the deadliest terrorist attacks in modern history - Pete and Marc take a look at September 13th 2001's SmackDown, a fascinating historical document and a glimpse into how Vince McMahon deals with world-changing events outside his company. show@wrestlemepod.com if you'd like to say hello - and you can find us on Twitter @wrestlemepod. The finest main event - and a match that gets the award for the 'most Wrestle Me' wrestling match in the history of this show rounds off our coverage of WrestleMania X-Seven part 5. God, this was good. 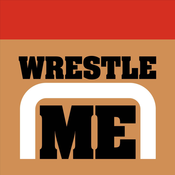 show@wrestlemepod.com if you'd like to say hello - and you can find us on Twitter @wrestlemepod. The greatest TLC match in history gets its dues – we’ll be back next week with the final part of the greatest Wrestlemania we’ve seen so far. Magic.&nbsp; &nbsp;if you'd like to say hello - and you can find us on Twitter @wrestlemepod.